Gianni, a UCSD Economist, took a $5,000.00 loan and built it into a 500+ location fleet. Starting with just one location in the San Diego Gaslamp, Gianni expanded the company to over 500 locations nationwide. Gianni also travels often to visit conventions all over the country. His frequents trips Silicon Valley researching new technologies. 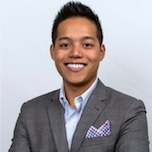 Eugene Koh brings great value and excellent management skills to the team. He strives for efficiency and perfection in every task he encounters. 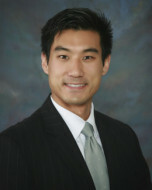 Eugene graduated from Cal Poly San Luis Obispo with a Construction Management and Real Estate Development Degree. Eugene focuses on expansion throughout LA, Orange County and San Bernardino County. 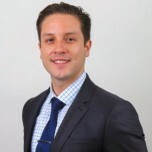 Lenny Castaneda adds valuable experience and organization skills to the team. His knack for attention to detail and good communication allows for a smooth running office. Lenny was in the Army Reserves and served his country as an office administrator. Lenny keeps all our paperwork in order and is extremely meticulous. AKA Loyal Lenny, Lenny is someone we can always count on to come through. Dan has served as the VP of Technology for Pacific Processing. Dan is passionate about helping ensure that our customers' equipment is loaded with the latest software & security updates. He also ensures that we have the fastest transaction speeds in the industry utilizing top-of-the line LTE wireless equipment. He manages our parts department. Nate currently serves as VP Business Development. 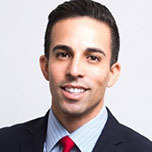 Nathan's extensive knowledge of the restaurant, nightlife, and festival industries have strengthened our sales and business development arm extensively. His 15 years of relationships in the restaurant, nightlife, and hospitality industries have vastly accelerated our growth. Nathan graduated from Point Loma Nazarene University with a bachelors degree in Journalism.